For over 10 years Clear Sky Medical has been serving the Denver metro area with both Anti-aging and Medical Aesthetics services. Volbella XC by Juvederm is part of our services which smooth and plump fine lines and wrinkles and lift cheek contours. 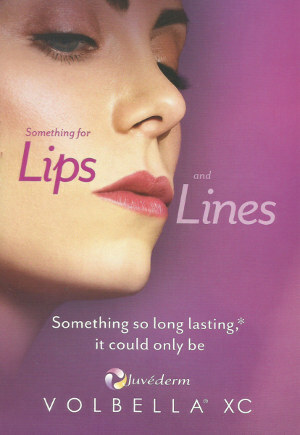 Some women may wish to add subtle volume to their lips; others may want to soften the appearance of the vertical lines above them. Lines such as these are often caused by factors such as sun exposure or repeated muscle movements. Here in Colorado the intense sun often gives us these lines years before they would ordinarily occur. Volbella XC is the only filler proven to last up to 1 year for lips and vertical lip lines. At Clear Sky Medical we have many options for fine lines and wrinkles, while Volbella XC may be the right answer for you, we recommend a consultation with Dr. Meier. Dr Meier has been trained in injectables and laser skin rejuvenation since 2005, and has been continuously advancing her aesthetic skills as new technology advances the abilities of non-toxic and non-invasive anti-aging procedures. Come in for a consultation and learn about Juvederm Volbella XC, and our other injectable services. You can contact us at 303-790-7860.